Parrotfish, a brightly colored tropical fish, can be cooked to perfection with the proper technique. The fish are most commonly found in the Pacific, Atlantic and Indian oceans and have large, thick scales which must be removed prior to cooking. Cooking techniques such as baking and frying are appropriate for parrotfish. Rinse the fish off both on the outside and the inside. Pat dry the fish and season the inside of the fish, if cut. If fish is whole and not cut, cut the belly of the fish with a knife and slide all the way up to the head. Cut the head off the fish, if desired. Season the outside of the fish one side at a time. Place the fish into the baking dish. Preheat the oven between 325 and 375 degrees Fahrenheit. Place a teaspoon or tablespoon of margarine/butter, which ever you desire. Add 1/4 cup of water to the bottom of the baking dish and cover with the baking top or foil. 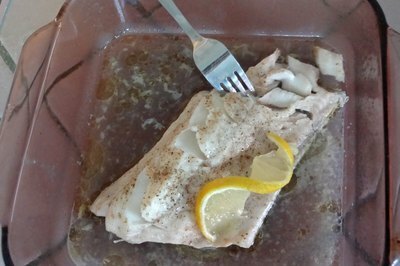 Place the baking dish in the oven and cook fish 30 to 45 minutes until flaky, or to your liking. Add a dash of lemon juice before serving, if desired. Rinse the fish off and pat dry. Season the inside of the fish, if cut, and season the outside on both sides. Place the corn meal into a paper bag and add the fish. 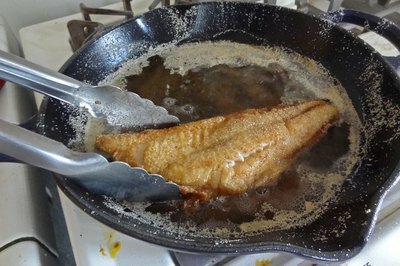 Coat the fish with the cornmeal by shaking the bag back and forth until completely coated. Remove the fish from the bag and sit to the side. Place the oil into the pan, enough to cover the entire fish, and wait for it to heat up. 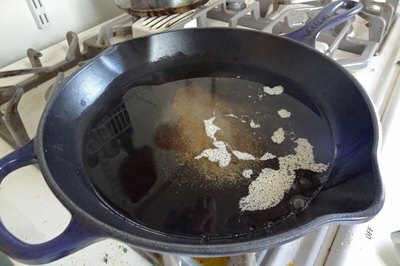 Test to see when oil is hot enough by dropping a few pitches of cornmeal into the oil. If the cornmeal floats to the top, the oil is ready. Carefully place the fish into the pan slowly so the oil doesn't splash. Cook until brown and then flip fish over to the other side. Cook the other side until brown and then remove when cooking is complete. 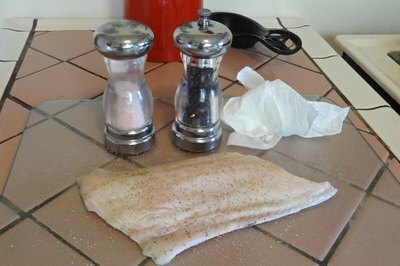 Place the fish on paper towels to drain oil. 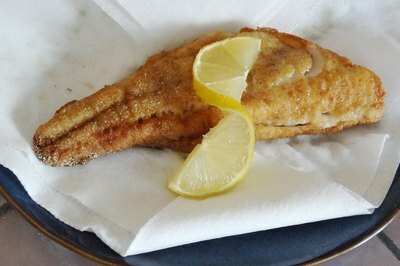 Use a fork to poke holes in the fish while frying, it will cook faster.